While metal 3D printing is regularly used for components such as brackets, rocket parts and turbine fuel nozzles, it is rarely used as the major manufacturing process for an entire mechanical system. 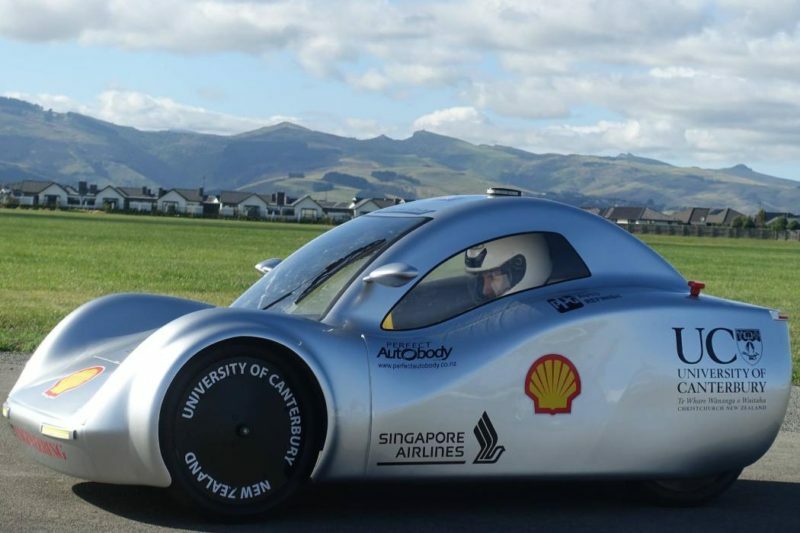 In a world first, students from the University of Canterbury developed an operational 3d printed titanium ethanol fuel injected internal combustion engine, showcasing the possibilities and limitations for the process. The team took their engine to Singapore and won the innovation award at the Shell Eco-Marathon event, a global competition on for students to compete with highly efficient vehicles. This was all done in one academic year, so a highly accelerated design process was required. To test and visualise ideas quickly, concepts were modelled and refined using cheaper and easier to post-process polymer 3D printing. The titanium parts that were optimised for efficiency, not machining constraints, were then printed and post-processed. Post processing proved to be the biggest headache. It is often said that 3d printing can create anything, but in reality it has its limitations and drawbacks. An example is the almost organic shape of the cylinder head that required little post processing, while the rather basic cylinder required complex support material. Using a laser sintering process that melts and fuses layers of very fine titanium powder has its complications. Thermal contraction of thin features would distort the part, much like MIG welding distorts steel, so support material is required. Removing the support required many hours EDM wire cutting, machining, and finally sand blasting. Before and after cutting the part off the build plate, thermal stress relief was required. Good Design for Additive Manufacture, DfAM, was essential to avoid or reduce the support material, ease support material removal, and reduce distortion. The raw titanium powder is a collection of very small diameter beads at micron scale. When a part comes directly off the printer the body of material has a uniform homogeneous structure. The surface, however, is coated with partially fused powder. This is not a concern for machined surfaces, but on the inside of the crankcase, where the raw surface encounters hot engine oil, these particles can break off and cause havoc between moving surfaces such as piston and cylinder walls. With careful sandblasting and ultrasonic cleaning before assembly this issue is eliminated. Good DfAM therefore must include access for a sandblaster or other post processing into internal cavities if complete removal of powder is required.